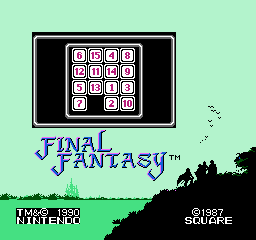 Pressing A and B together 55 times while on the ship in Final Fantasy will take you to a sliding puzzle minigame. I just realize I forgot to put "55 times" there. So if you tried it out in the five hours between the original post and edit and it didn't work, plz don't get mad at me. In the English dub of the game Catherine, the voices of Katherine and Catherine are (respectively) the voices of Yukari from Persona 3 and Rise from Persona 4, characters corresponding to the two Lovers arcana social links in those games. Although cool and symbolic, this is probably mostly just because of the extremely limited pool of decent dub voice actors available to them. If you kill a Boom-Boom with a Starman, the ? orb will spawn upside-down in the center of the room. It is possible to kill Dr. Wily in Mega Man 4 by using Rain Flush while he's evacuating the Wily Machine. Doing this will prevent you from progressing to the next level, thereby forcing you to reset. A cosmic punishment for breaking one of the chief laws of robotics. Dr. Robotnik's Mean Bean Machine has a sound test menu that is only accessible if played on a Japanese Mega Drive. However, the game was a Western release only, so the only way to access this is with a hacked system that bypasses the region lockout. The cancelled games Sonic X-treme and Sonic Mars were going to feature a new character named Tiara Boobowski. No, that's not a typo. What is her boyfriend's name, Crown Dickowski? Here's a bit of a "Japanese-only" reference and a spoiler for FF4 and it's Sequel The After Years. I'll be fair and put it in spoilers. Nikushimi and tsugunai do translate that way, so it might have been intended, but those aren't at all natural readings. 2,943 is formally read "ni sen kyuu hyaku yon jyuu san." "nikushimi" is equivalent to saying "two nine four three", although as far as I can tell "yo" is a more common reading of four in the context of Arabic numerals. Requires a bit of a leap, but not a huge one. 2,971 is formally read "ni sen kyuu hyaku nana jyuu ichi." By the same logic as above, it's read "nikunanaichi", or maybe "nikunai" if you're forcing everything to be one syllable. This could translate roughly to "not hated" or "not difficult." Google's "someone has used it somewhere in time" Kanji converter does acknowledge "i" as a way of writing one, albeit with a very formal character, and "na" as a way of writing seven. "gu" for nine could be expected with tsu in front of it. Problem being, I can't find any reference anywhere to reading "2" as "tsu", nor can I think of any logical reason (transliteration of English "two?") you'd do that. I'm not fluent, and there might be some very obscure or archaic reason to do so, but if so it's beyond the scope of a number of quite thorough dictionaries. Tsugunai is a very deep pun if it's what they meant. [SPOILER]I've heard of 2 referred to as "Tsu" but it's usually because in Japan English words = cool. The photo on Neil Young's Silver & Gold album cover was taken with a Game Boy Camera. Podoboos can be killed with Starmen and Koopa shells in the original Super Mario Bros. and The Lost Levels. However, Starmen can't be found in any of the levels where Podoboos are present, so the only way to kill a Podoboo with a Starman is through hacking. There is one level in TLL where it's possible to kill a Podoboo with a Koopa shell. However, a new Podoboo will immediately spawn in the same spot. 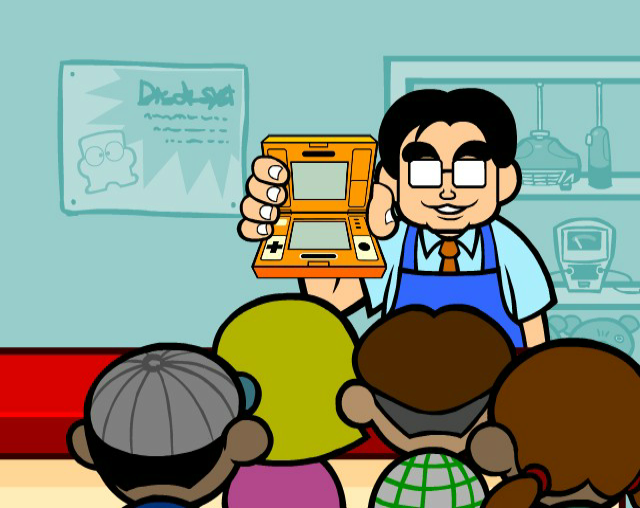 Shop Manager Iwata from WarioWare: Smooth Moves is, believe it or not, based off of Satoru Iwata. Kain Highwind from Final Fantasy IV is left-handed. Freya Crescent from FFIX is left-handed as well, possibly as a throwback. u kno who else is left handed???? Does this look left-handed to you?